While I tried to hide my giggles at his exasperated use of words, his big brother stepped in with an awesome idea. “Why don’t we just curl the paper like this to make a snail” he suggested, and from there he came up with a really easy rolled paper snail design! It was so lovely to see my boys working together to solve a problem and make something fun and creative. 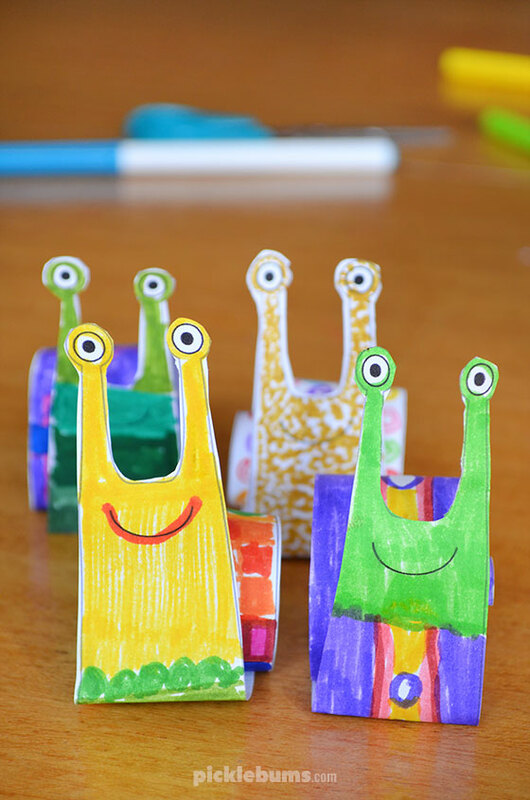 The rolled paper snail design they came up with was so good, and so easy, that once it had been tested and finalised, I grabbed it and turned into a printable template! OR a pencil to draw your own snail design. 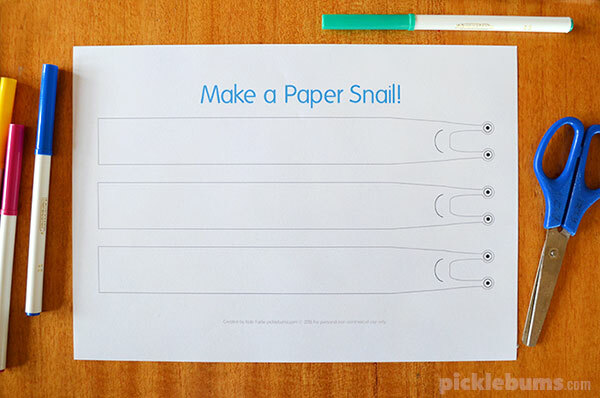 The design for the paper snail is quite simple. 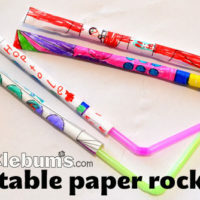 It’s made from a long strip of paper with a snail’s ‘head’ at one end. 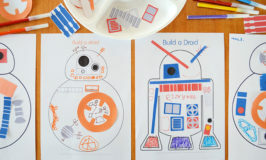 If you don’t have access to a printer, you could copy the basic design by hand, but for super easy snail making grab the free printable template from the end of this post. Once you have printed (or drawn) the snail template, you simply need to cut around one of the snails. 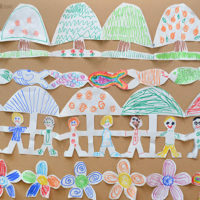 It can be a bit tricky cutting around the little eyes, but a small pair of scissors with a pointed tip makes it a bit easier. The long straight strip of your snail will become his shell. Where the lines begin to taper in towards his face will be the ‘neck’ and head of the snail. Now you need to decorate your snail and give him, or her, some colours. You can colour the snail in with markers or pencils, or anything you like. 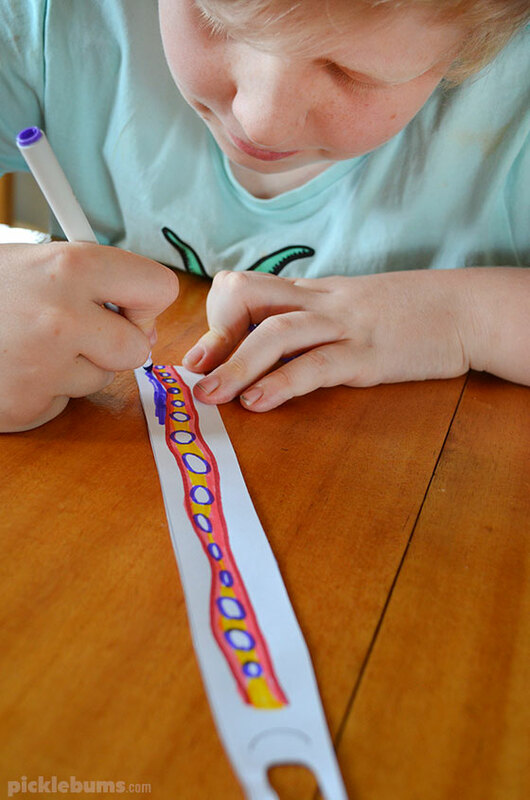 You could zentangle the snail’s shell, or make a snail version of your favourite book or movie character, or just make a rainbow shelled snail. When your snail is coloured and ready to go, lie him face down on the table and fold the ‘neck’ and face end up. 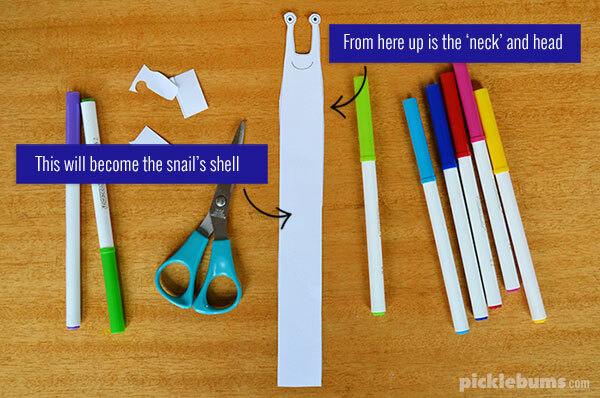 Then, using a pencil or marker, starting from the other end, roll the paper around the pencil to make a spiral snail shell. 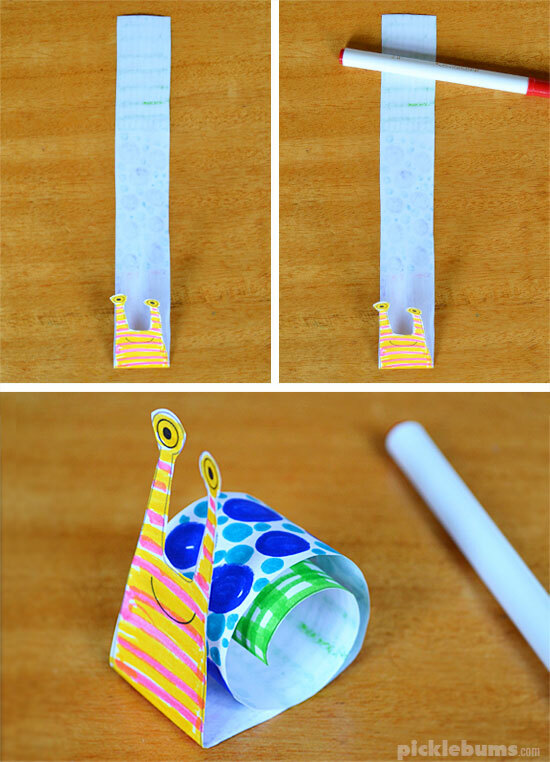 Now you have a cute, easy, paper smail! And it is so much easier than following complicated origami instructions! 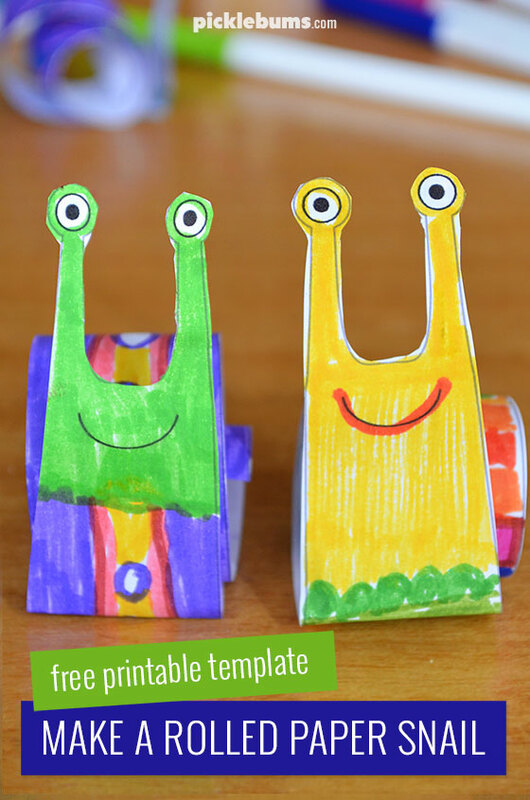 If you’d like to make your own rolled paper snails you can download the free printable template below. 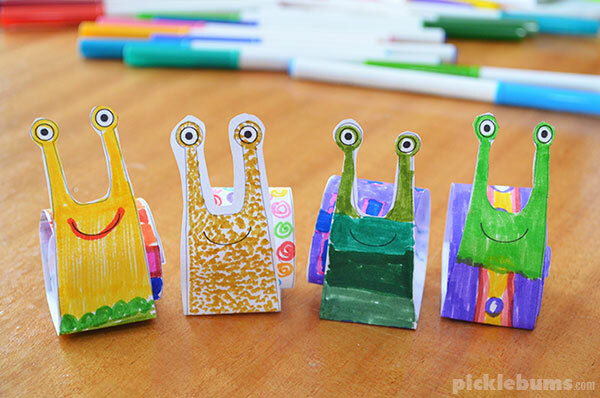 You can download the free printable paper snail template here. 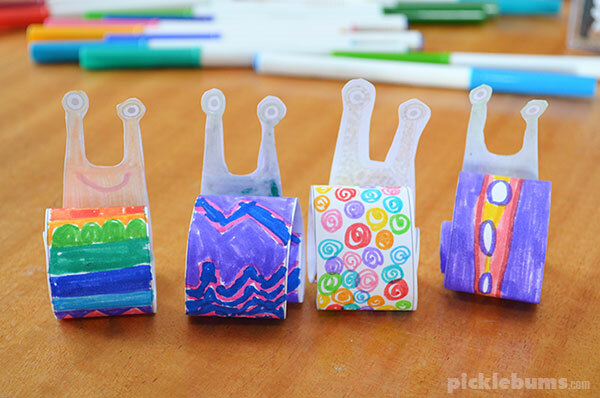 I bet you won’t be able to make just one snail! 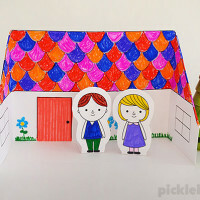 Make a Paper Dolls House.